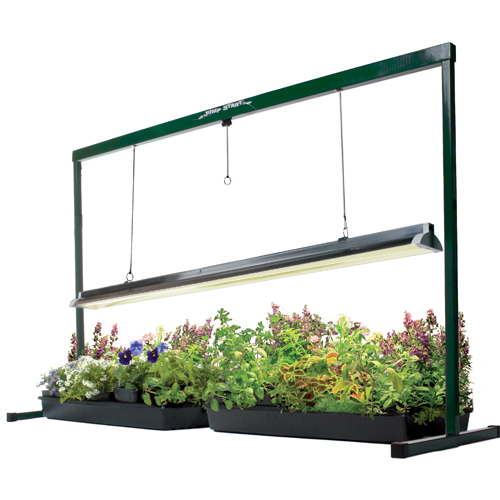 Easy-To-Adjust Fluorescent Grow Light System - NOW WITH T5 LIGHTS! Grow plants from seeds or cuttings anywhere. Pull cord system lets you adjust the light to any height. Pull it down to keep it an inch above your seedlings and raise it up to the precise height needed as they grow. Dark green powder-coated steel frame. 30" tall by 52" wide. Includes full spectrum 48" T5 fluorescent tube. Up to 20% brighter than competitive brands with super long 20,000 hour rated life. The light works very well. However, from the description online it was hard to interpret that the light had only 1 bulb. All the other lights online for the same pricing had 2 bulbs. Kept it anyway since I needed to get started and it works very well. Need better description online. I saw this sort of advertised as being able to grow full plants. If it is the same "jump start" system I think it is. 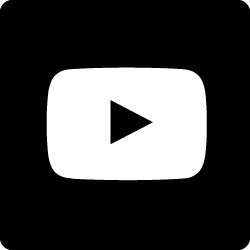 You may have some trouble if you're looking for a start to finish solution. It may be able to grow some varieties of plants to maturity, but not all. This is however perfect for starting seedlings or rooting cuttings. The smallest t5 fixture that I would even say could grow something other than a seedling would be at least a 6 lamp fixture. The smallest I would run personally, would be at least an 8 lamp t5 I think this only has 1 lamp. Its great for starting plants, but you'll need something else to finish them. Owner Response: Thanks for your review. We have been very successful growing full size plants under 4 lamp T5 lights. Light amount would really depend on the size and type of the plants being grown. Staff Review: I have used this light in our office for years starting seeds. It used to have a regular Fluorescent and now it comes with a T5 light (even better!). I finally bought my own and am loving it. It was super easy to put together - just a couple things to slide into place. I recently moved and it was easy to disassemble and put back together again. Adjusting the light up and down to get it at just the right height is easy. 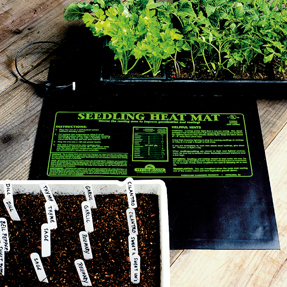 Works great for starting seedlings. I am using it right now to keep some plants indoors that I bought a little too early to put outside. The only downside is that because the frame is so wide (at 4 feet), it does take up a lot of room and the frame is a little wobbly if you bump it. I am very happy with this light. It works well and was very easy to set up. I was very happy with the fast delivery!